Did you know untreated hearing loss can increase the risk of falling, depression and dementia. There is a relationship between hearing loss and diabetes, cancer treatment and cerebro-cardiovascular disorders. The following article helps bring awareness of these medical conditions and the correlation they have with hearing loss. Minerals play an important role in our overall health and proper body function. Calcium builds strong bones and teeth. Zinc is an important mineral for boosting the immune system. What you may not know is that some minerals are critical elements for protecting your hearing health. Minerals are inorganic substances found in soils and rocks and are essential nutrients the body needs to survive and carry out daily functions and processes. We get minerals by eating plants that absorb them from the earth and by eating meat from animals that graze on plants. There are many important minerals, but these few are crucial for preserving good hearing. Potassium is responsible for regulating the amount of fluid in your blood and body tissue. That’s important to your hearing health because fluid in the inner ear is dependent upon a rich supply of potassium. This part of the ear translates the noises we hear into electrical impulses the brain interprets as sound. As we age, those levels naturally drop which could contribute to presbycusis — or age-related hearing loss. Potassium-rich foods include: potatoes, spinach, lima beans, tomatoes, raisins, apricots, bananas, melons, oranges, yogurt and milk. With springtime picnics marking the calendar, think about making your favorite potato salad or bring along a fruit salad with citrus and melons for tasty and potassium-rich side dishes. Folic acid is a critical element in your body’s ability to generate new cell growth. Studies have shown that adults with low levels of folic acid in their blood are more likely to develop presbycusis. Some studies show folic acid supplements may slow down hearing loss. That might be because the body uses folic acid to metabolize homocysteine, an inflammatory compound that reduces circulation. Good circulation is an important component in keeping the hair cells of the inner ear healthy and working properly. Folate-rich foods include organ meats, spinach, broccoli and asparagus. Research conducted at the University of Michigan Kresge Hearing Research Institute has shown that people pretreated with magnesium (along with Vitamins A, C, and E) were protected from noise-related hearing loss. Scientists believe this is because magnesium combats the effects of free radicals emitted during loud noises — almost like a protective barrier for the delicate hair cells in the inner ear. Also, lack of adequate magnesium in the inner ear causes the blood vessels to shrink, depriving it of valuable oxygen. Foods rich in magnesium include fruits and vegetables such as bananas, artichokes, potatoes, spinach, tomatoes and broccoli. Spring is the perfect time for fresh artichokes. Cook them in boiling water 20-30 minutes and serve them with warmed butter or a cool dill yogurt dip. Bonus — the yogurt dip will provide potassium too! Zinc boosts the body’s immune system and is also responsible for cell growth and healing wounds, so it’s potentially helpful in warding off germs that cause the common cold and even pesky ear infections. Some studies suggest it’s also effective in treating tinnitus in individuals with normal hearing. Zinc does interact with antibiotics and diuretics though, so seek a physician’s advice before using supplements. Foods rich in zinc include beef, pork and dark-meat chicken, cashews, almonds, peanuts, beans, split peas, lentils, oysters and dark chocolate. Try making homemade granola bars to get your fill of zinc. Nuts and dark chocolate work great as key ingredients, along with oats, popped quinoa, raisins, dried cranberries and coconut flakes. Honey and nut butters work well as binders. Search online to find ideas like this one from Love and Zest. Once you get comfortable with the process, tweak recipes to your liking. With a balanced diet free of processed foods and that includes vitamins from whole foods, our bodies usually get enough minerals for our hearing health. Check with your physician before adding any supplements to your diet. 1 - Wear hearing protection when around harmful noise. Occupational noise can be harmful and irreversible. Wear earplugs every time you are exposed to noise. 2 - Have your hearing tested regularly (every 3 -5 years) and before you notice hearing issues. 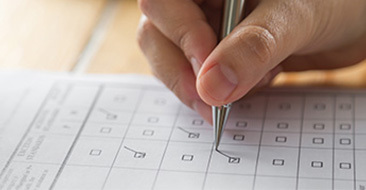 Routine hearing evaluations can detect early signs of hearing loss and other serious medical issues. 3 - Eat healthy well balanced meals. 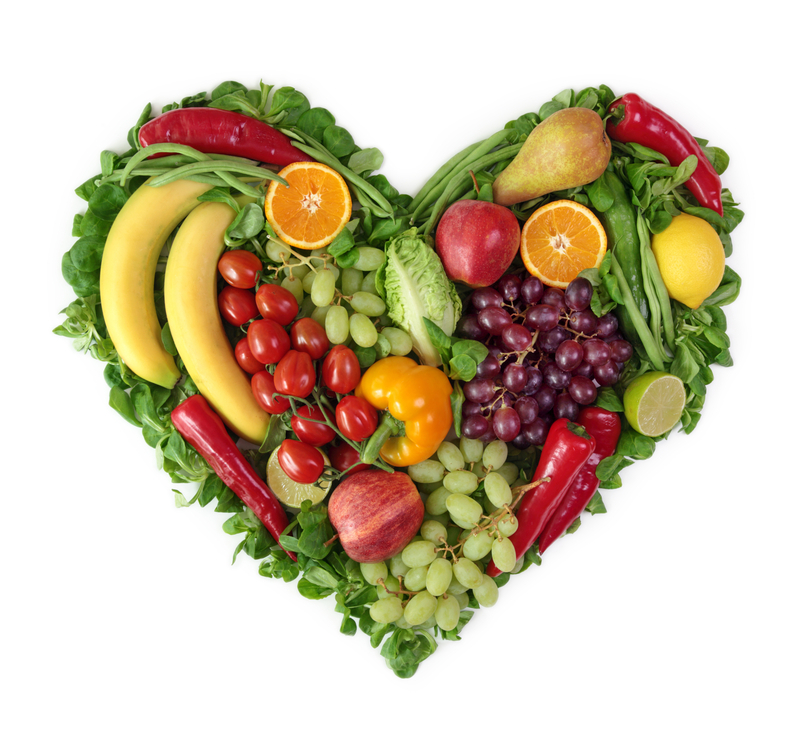 Proper nutrition increases oxygen and blood flow to all parts of the body, including our ears; it promotes strong blood vessels and reduces your risk of heart disease and diabetes which has been linked to hearing loss. 4 - Do your cardio exercises. 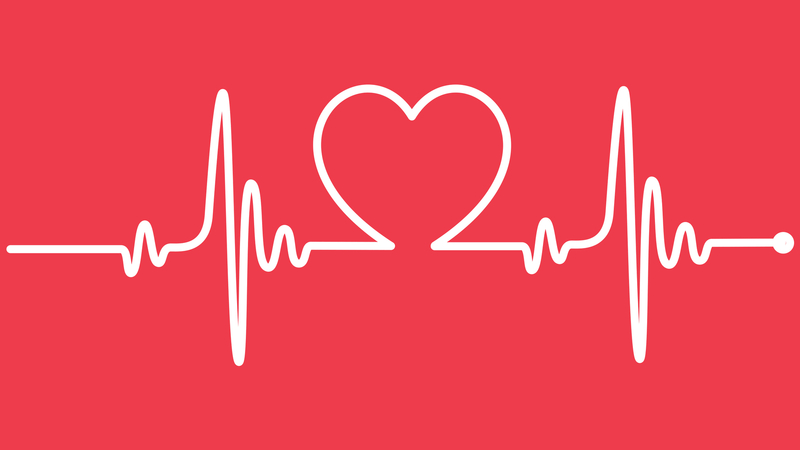 Cardiovascular health increases blood flow in your body, including the blood that flows to your head. This keeps your ears hearing and functioning well. Once again reducing your risk of heart disease and diabetes can reduce the risk of hearing loss or reducing the degree of hearing impairment. Research shows that the inner ear becomes susceptible to damage from smoking cigarettes, but smoking may also affect many aspects of your central auditory processing. Furthermore, adolescents and children of mothers who smoked during pregnancy are particularly vulnerable to the effects of cigarette smoking. Austin, the founder of the Starkey Foundation, built the organization on his vision — So the World May Hear. Over the last three decades, he has expanded the Foundation’s reach from Minnesota across the United States and around the world. With the help of thousands of volunteers and supporters. Take a look at this inspiring young girl. Mandy Harvey is a deaf singer-songwriter who followed her passion of music. Her passion for music helped her overcome her challenges and now inspires millions to follow their dreams, no matter how impossible it may seem. Editor: When a person with hearing loss and a person with normal hearing are conversing, it's important to observe some simple conventions that can make the whole process a lot more enjoyable. Here with her thoughts on this topic is Patricia B. Kricos. Mark Ross, a venerable audiologist with a severe hearing loss himself, once said: "When someone in the family has a hearing loss, the entire family has a hearing problem." Communication is a two-way street, and both the listener with the hearing loss, and his or her communication partner, can play a role in reducing the problems that may arise during a conversation. Below are some communication strategies for both the listener and the communication partner that may significantly reduce conversational difficulties. Listener: Acknowledge your hearing loss so that people will be more likely to look directly at you when talking, and speak clearly when addressing you. If your conversation partner knows that you have hearing difficulties, there may be fewer misunderstandings if you do not respond appropriately or if it appears that you are ignoring the talker. 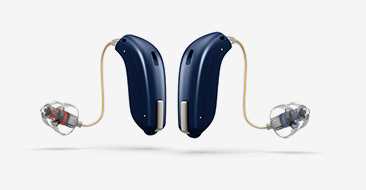 Communication Partner: If someone you are conversing with wears hearing aids and/or tells you that she has a hearing loss, do not shout or exaggerate your mouth movements. Just speak clearly, a little bit slower and a little bit louder. Pausing between phrases will help the listener have time to process what you are saying. Listener: If you own hearing aids, by all means wear them. If you don't, check with your hearing healthcare professional to see what's new in hearing assistive technology. Some amazing improvements have been made in hearing aids and it might be time for you to see what technology might be available to make your communication situations flow more easily. 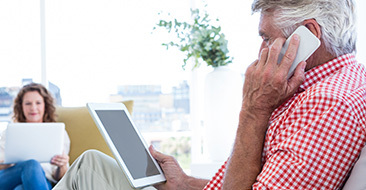 Communication Partner: If you see that the person you are conversing with is having difficulty communicating and they do not use hearing aids or other assistive technology encourage them to get help using modern digital technology and/or other assistive technology. If they are resistant to hearing technology or in denial consider using some of the strategies for handling a loved one who is in denial about their hearing loss. Listener: Pay extra attention to the talker and try to hone your listening skills. This may be especially difficult for new hearing aid users, who may have spent several years "tuning out" during conversations, movies, lectures, or religious services because of difficulties hearing. Watch the talker's mouth instead of looking down. Try to concentrate on the topic of conversation, even if you are missing a few words or phrases. Communication Partner: Realize that it can be a strain for people with hearing difficulties to listen for long periods of time. Try to appreciate that folks who have to pay extra attention during conversations will often tire more easily than other listeners, and may want to go home earlier than you do from parties, family dinners, and other group events. Listener: Anticipate difficult listening situations and plan ahead. If you're dining out with friends, for example, suggest going at a time that is not likely to be busy, recommend a restaurant that you know is relatively quiet, and familiarize yourself with the restaurant's menu, which can often be found online. Going to a bowling luncheon banquet? Try to arrive early so that you can pick a seat at the table furthest from the noisy kitchen, and choose to sit with your back to a brightly lit window so you can reduce glare. Be as prepared as you can to minimize listening difficulties. Communication Partner: When accompanying a friend or family member to an event that is likely to be a difficult listening situation, think of ways ahead of time to minimize communication problems. For example, if you are going to a lecture together, try to arrive early so that the two of you can get a good seat, up close to the podium. Engage beforehand in conversation about the lecture topic as a way of perhaps anticipating what the lecturer will say. 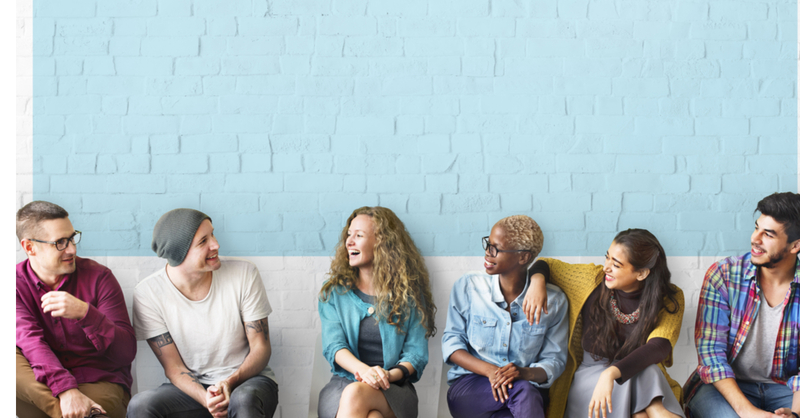 If you are hosting a social event and know that someone who is attending has a hearing loss, strategize as to how you might reduce problem situations. Perhaps you could choose a relatively quiet restaurant and ask to have a private, carpeted room for your event. The efforts you take to plan for a "noise-free" event will probably actually benefit ALL of your guests. Listener: Avoid saying "Huh?" or "What did you say?" when you have heard at least part of what the speaker was saying. Instead, try saying something like "I know you said you are talking about the new house you are building, but I didn't catch where you said the house is located." This way, the talker does not have to repeat everything that was said. Communication Partner: When the listener has missed something you said, try repeating what you said one time, using clear (but not exaggerated) speech. If the person still does not understand, try rewording. For example, if the person did not understand you when you said, "It's not polite to boast", repeat it once, then reword your sentence to "It's not nice to brag." Listener: Practice analyzing WHY you are having difficulties with a particular talker, then make specific requests, politely of course. Does she have a soft voice? Rather than saying, "Say again?" try asking her to "speak a little bit louder please". Does he speak too fast? Ask him to "please slow down a bit so my ears can keep up with what you are saying!" If she has turned away from you while talking, don't say, "I didn't hear you." Instead, use a specific request such as "Please face toward me when you speak." If she is talking with her hand over her mouth, say "Could you please put your hand down" instead of "I can't make out what you're saying." Communication partner: The best way to speak clearly for people with hearing loss is to face them, speak a little bit more slowly, a little bit more loudly, and with natural voice intonation, not a monotone. Try not to cover your mouth when you are talking, because that prevents your partner from taking advantage of lip cues. Listener: If you have the slightest doubt that you understood a message correctly, confirm the details with the talker. It could save you some embarrassment or complications later. Communication partner: When giving directions, such as where and when to meet for a meeting, ask your partner who has a hearing loss if she is clear on the directions by saying something like, "Did that make sense?" Listener: Use positive words when you need help from your communication partner, such as "Could you please speak a bit louder?" instead of "You're going to have speak louder if you want me to understand you." Communication partner: When the listener with a hearing loss asks you to say something a little bit louder, take it as a compliment! It means she really wants to understand what you are talking about. Listener: Politely let your communication partner know what you need to make the conversation flow more easily. At a group meeting, for example, if everyone is talking at once, suggest that only one person at a time talk. If you are on a conference call, suggest that each participant identify himself or herself when they say something, such as "This is Pat. I think we should have the fundraising event on a weekend." Communication partner: If the person you are talking with indicates that they have a hearing loss and need you to speak a bit louder or a bit slower, try to accommodate their needs, but like Goldilocks and the porridge, it needs to be "just right"; i.e., not too slow, not too fast; not too loud, not too soft." The accommodations you make will enable the conversation to flow more easily for both of you. Listener: Watch the speaker's face. Although less than 50% of the English language is visible on the lips, you can still get a great deal of help by picking up visual cues on the speaker's face. Did the speaker say, "I need to go home"? Or was it "I need a phone"? Watch the person's face and you will probably figure it out because "home" and "phone" look different on the lips. The speaker's facial expressions may also help you understand what is being said. Communication partner: The listener may benefit tremendously by being able to watch your lips as you speak. Be sure to not cover your mouth with your hands, a restaurant menu, etc., so that the visible features of speech are available. Listener: Sure, your mother instructed you carefully in social rules, like "Never interrupt", "Don't buck the line", and "Wait patiently until it's your turn to speak." However, picture this scenario: you are at a busy airport, waiting at the gate, and after a loudspeaker announcement that you couldn't understand, half the people waiting with you start running to another gate. Despite what your mother taught you, don't feel that you must wait in the long line of people waiting to talk to the gate agent. Simply go to the head of the line and say "Excuse me, I don't mean to break into the line but I could not hear the announcement that was just made and wonder if you could repeat it for me so I don't miss my connection." Communication partner: It's important to understand that what may seem like rudeness on the part of your friend or family member is simply an effort to let you know as soon as possible that he is having communicating difficulty. For example, if he stops you in the middle of your description of your recent trip to the Rockies, just to ask you to speak a little slower, don't think of him as being impolite or not interested. Quite the opposite, he may be indicating that he wants to hear about your travel experiences but can understand your recount better when you use clearer speech. So take it as a compliment, not as poor social skills. Listener: Be patient, with yourself, with your family and friends, and with people you encounter throughout the day. Don't blame yourself or others for your difficulties. Just keep trying to use the tips provided here and stay positive, even when the going gets tough. Some days will be more difficult than others but a cheerful attitude can work wonders for getting through the tough times. Communication partner: Keep reminding yourself that although it may be difficult for you to converse with someone who has a hearing loss, it is even a greater challenge for that person, given the many difficulties encountered during a typical conversation. Be patient, use the communication strategies outlined here, and appreciate your own good hearing abilities. Musicians suffer not just from hearing loss but potentially from ringing in their ears and various pitch-perception problems. Music lovers should be modest in the length of time and level of loud music to which they expose their ears. 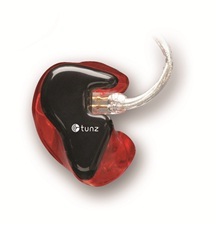 Many performing musicians use ear monitors to regulate the levels of sound they absorb on the stage while performing. Both in-ear monitors and musicians’ ear plugs can be custom made and fitted by one of our Registered Hearing Aid Practitioners at Discover Hearing to each musician’s personal needs. Call our office and book your appointment today.